"Revising Your Dissertation and Publishing Your First Book"
Home › Events › "Revising Your Dissertation and Publishing Your First Book"
UC Press Workshop with UC Press Editors. 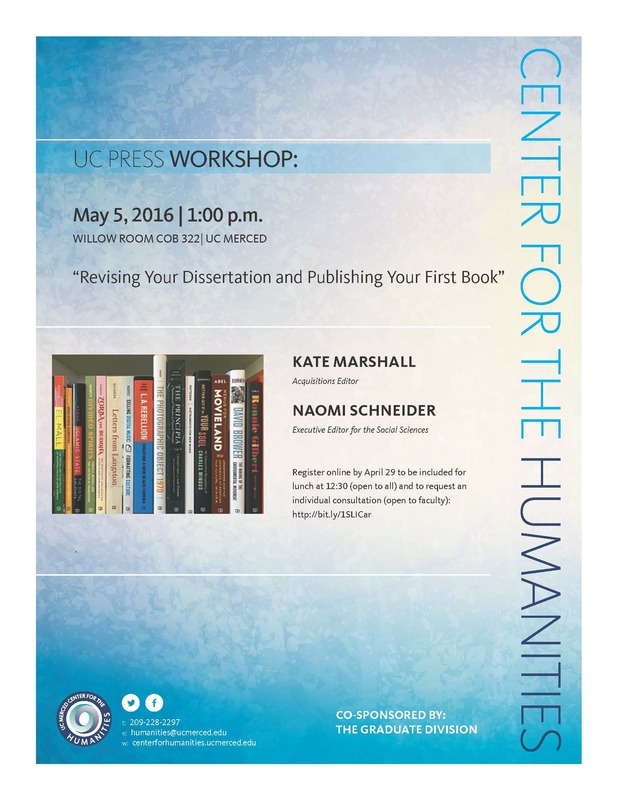 The Center for the Humanities is excited to be hosting two editors from UC Press for a workshop on May 5, 2016. This event is co-sponsored by the Graduate Division. Please register online by April 29, 2016. *Contact humanities@ucmerced.edu with any questions.